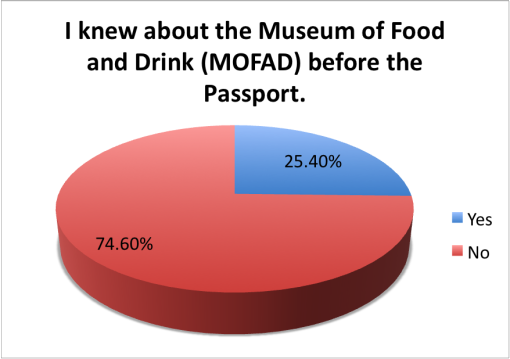 By purchasing the Good Local Passport this fall in NYC, you helped awareness and funding for 2 great local organizations: Toklas Society & the Museum of Food and Drink (MOFAD.) 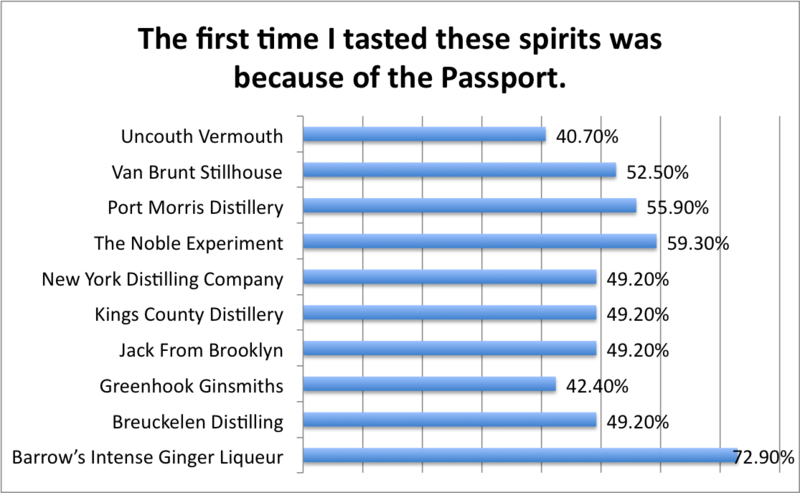 Along with that, you tasted spirits from 10 NY-based distilleries and took part in the Crafted in NYC movement. By doing so, you helped to drive business into great local bars, restaurants and distilleries looking to connect with the cocktail curious in NYC who love to support local businesses. 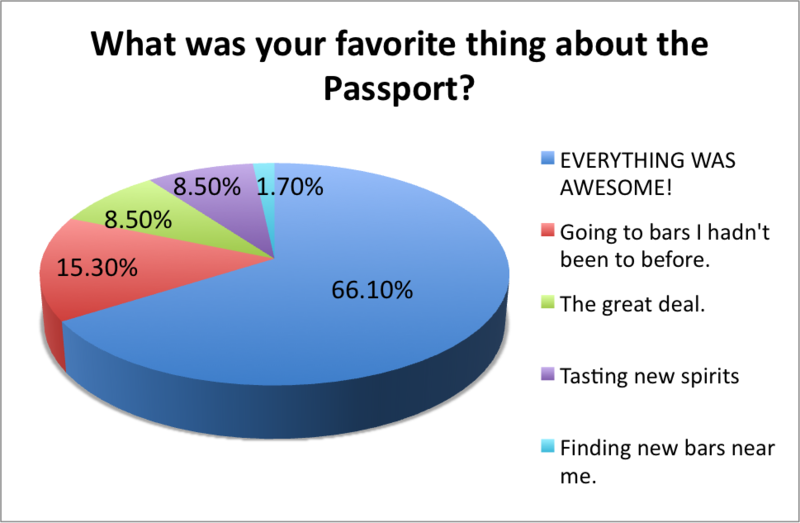 Give yourself a pat on the back and take some pride in what we have accomplished together. 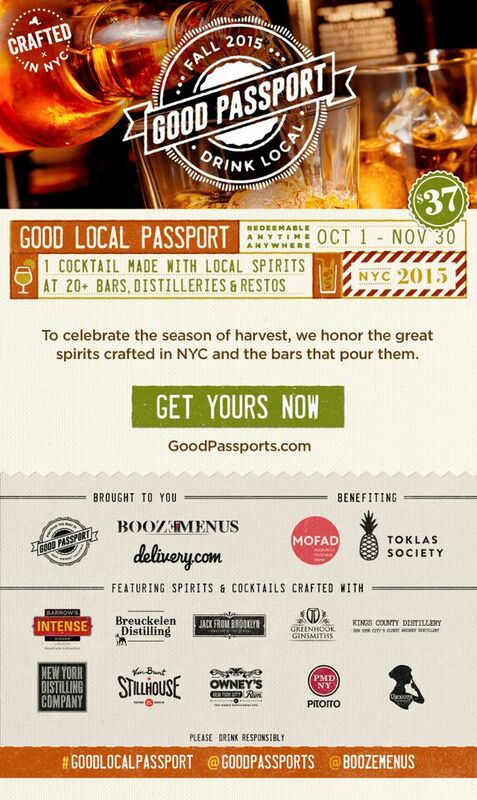 The Good Local Passport along with the support of delivery.com, offered 21 cocktails, all made with local spirits, from 21 bars, restaurants and distilleries all over NYC from October 1, through November 30, 2015 for only $37. You can’t ask for a better price to enjoy yourself and help out some great charities. By purchasing the Good Local Passport, you also received 25% off your next order from delivery.com and $2 off your entrance to MOFAD. 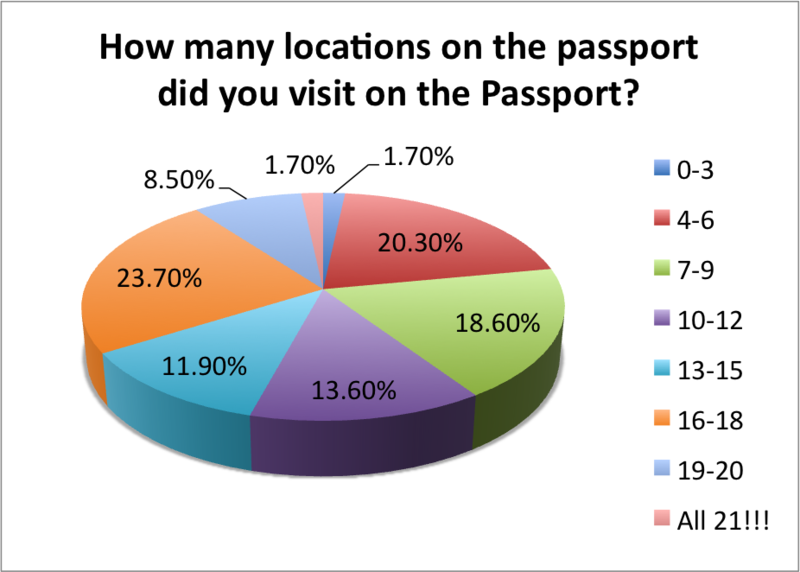 Have you used them yet? We always suggest trying local whenever and where ever possible but this was the first Good Passport program to fully offer and support 100% local drinks. That’s pretty cool. 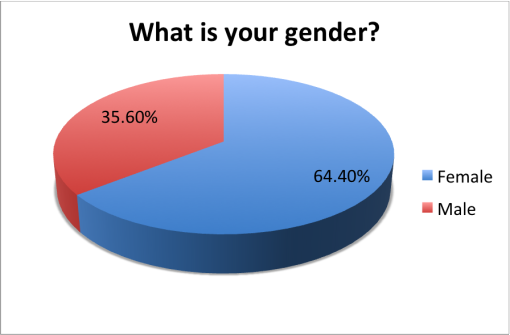 *Note: This was the closest voting we’ve ever seen. 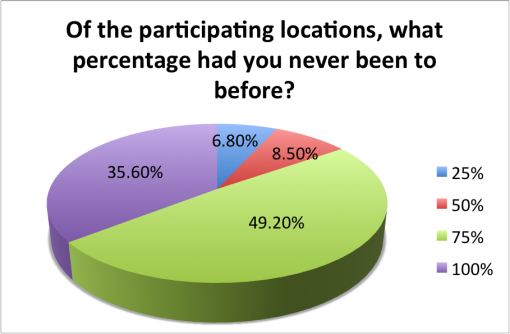 The difference between 1st and 2nd place was 1 vote and the difference between 1st and 3rd places was 2 votes! 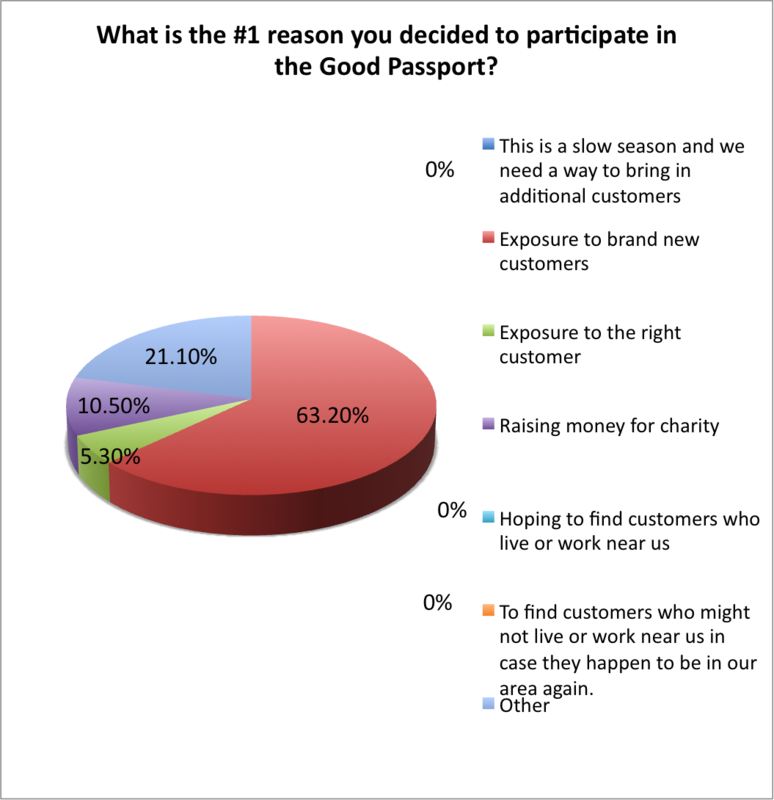 There are a number of reasons why a bar or restaurant would want to participate in the Passport. Sometimes it’s about finding new customers, sometimes it’s about needing help in a slow season, other times it’s about supporting the charities that are a part of the Passport program. 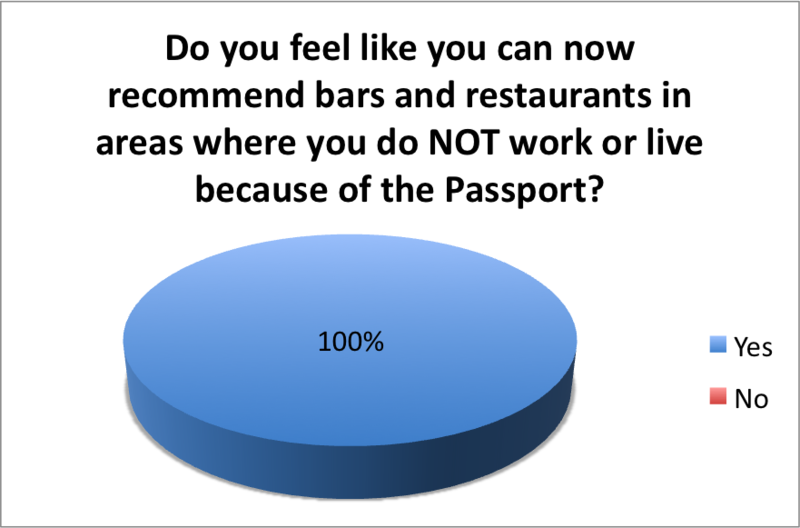 For the first time ever, we decided to ask the bars to also take a survey. We wanted to see if they had a similar experience as you did. Here’s what they had to tell us. 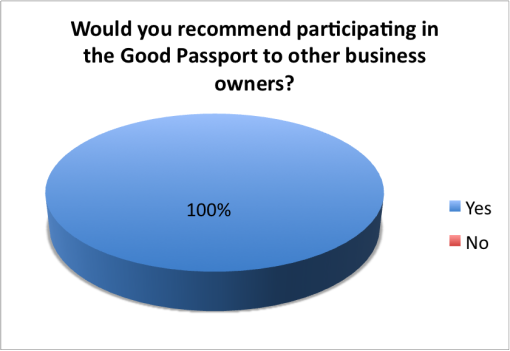 We sincerely appreciate you purchasing a Good Local Passport and supporting local businesses. This program was designed to do 2 things: expose great customers to great bars and to raise awareness and funding for local charities. You proved once again that the Good Passports do exactly what they are supposed to do. 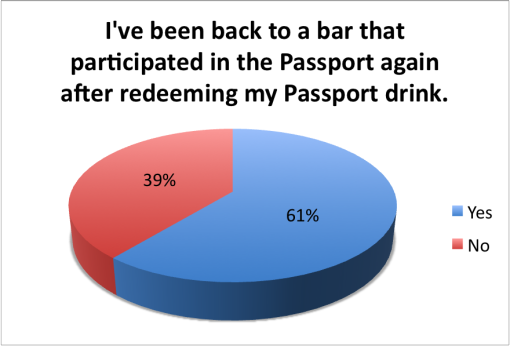 Bars judge the success of these by how many new customers we can bring them, if they order additional drinks and or food and if they come back. 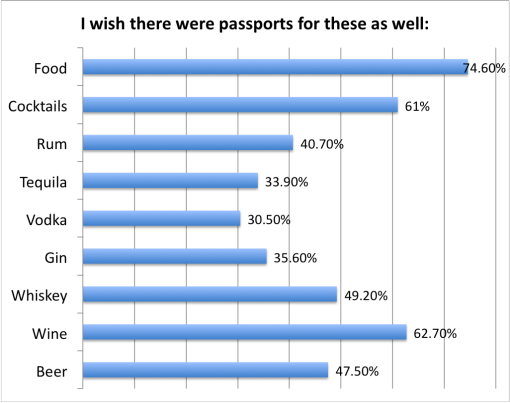 Bartenders judge the success of the Passports in part on how people to tip. For the most part, you tip 47% more than their regular customers. 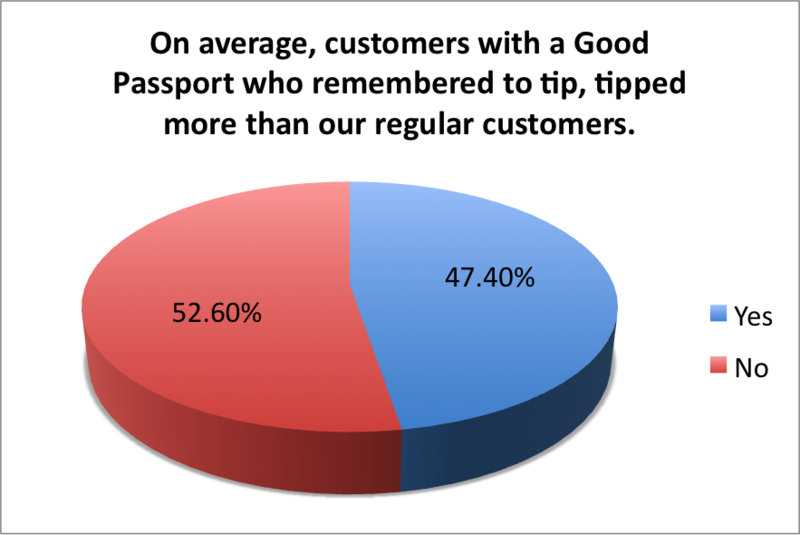 To those of you who are in the #DontForgetToTip 47%, thank you. 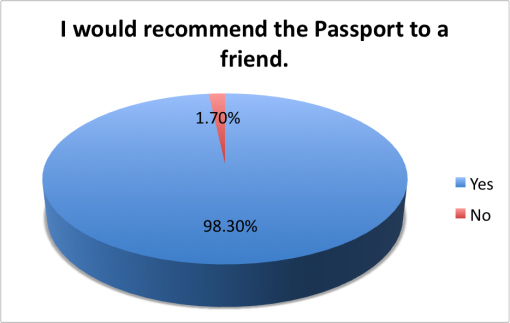 These people work very hard to make your experience fun and memorable. Brands judge the success of Good Passports on a lift in exposure, in other words, they want to know they can reach new people who haven’t heard about them, or tasted their products before. 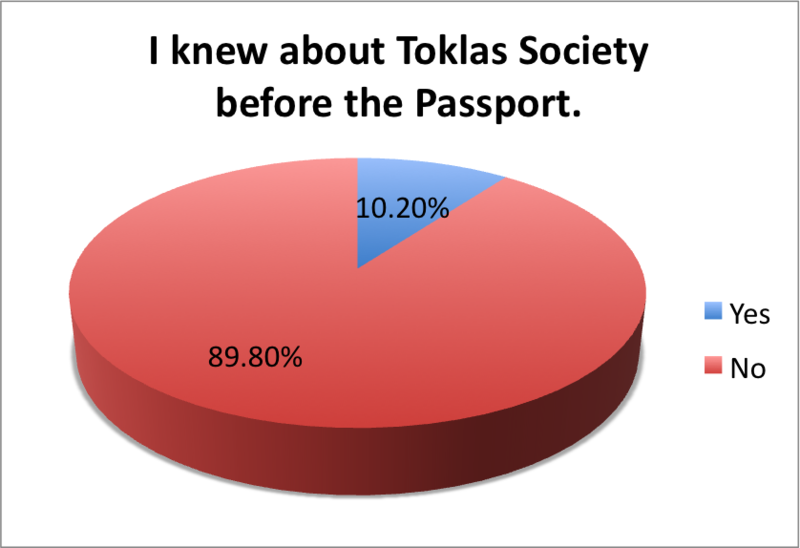 The results don’t lie, you made all these things happen. 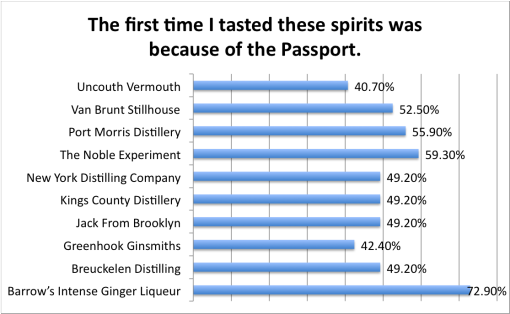 A big tip of the hat to all the local distillers who worked so hard at not only crafting delicious artisanal spirits but helping to diligently promote the Passport and work to support that bars that feature their liquors. 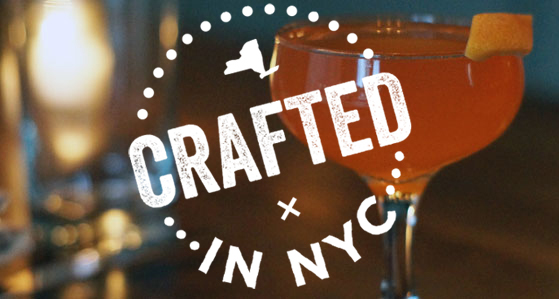 The biggest of big thank you’s goes to Samantha Katz, founder of Ladies of American Distilleries. This Passport would not have come to fruition without her creative mind, diligence and connections. She helped to gather together all the distillers, the charities and the participating locations. 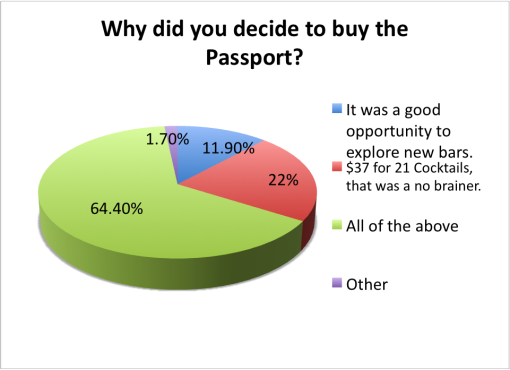 This was the very first Good Passport to have it’s own cocktail recipe book. 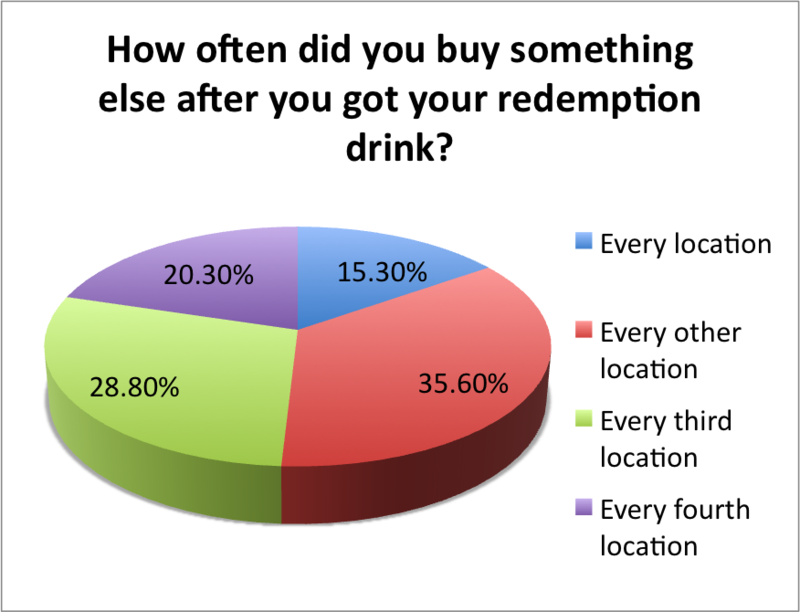 The idea was that you could use your 25% discount to delivery.com to purchase some of these fine spirits and then make the exact same spirits you tasted at the participating bars at home. 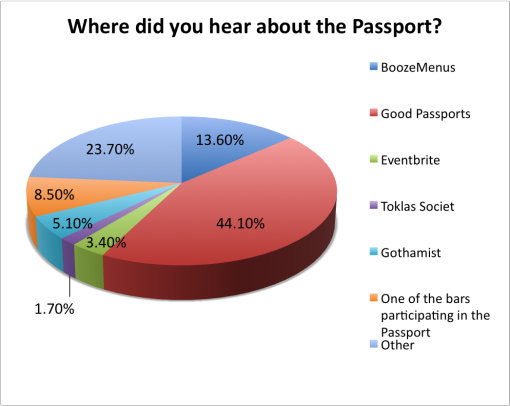 If you have not yet downloaded the Good Local Passport Cocktail Companion, what are you waiting for? Thank you to Back Label Wine Merchants for helping us to host a fantastic kick-off party. Back Label Wine Merchants is one of the best spirit and wine stores in New York City. Not only will you find an outstanding selection but also a very friendly and knowledgeable staff. We had a lot of help in promoting the Good Local Passport, especially from delivery.com. Why bother to call someone who will get your order wrong when you can do it all online and have your favorite restaurant brought right to your door? Hosting a party? delivery.com can also bring you groceries as well as the spirits featured on the Good Local Passport! The Passport art looks great. We have Chris Skae to thank for that! 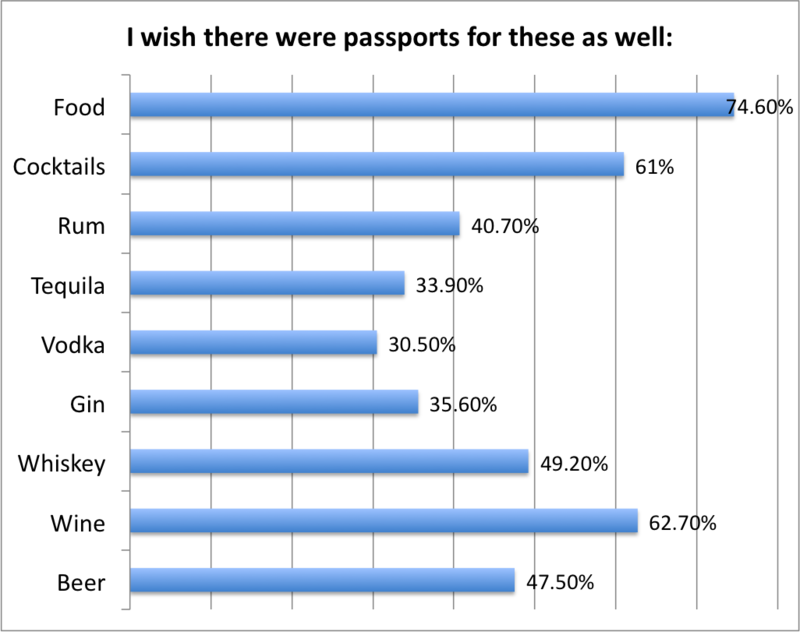 He has designed every single Passport that we’ve ever done and is the man behind our logos and posters. For our friends that checked into one of the bars on social media, used the #GoodLocalPassport hashtag or included @BoozeMenus & @GoodPassports in a post, thank you. We tried to share, comment, like, retweet, repost and engage with every single one of you. 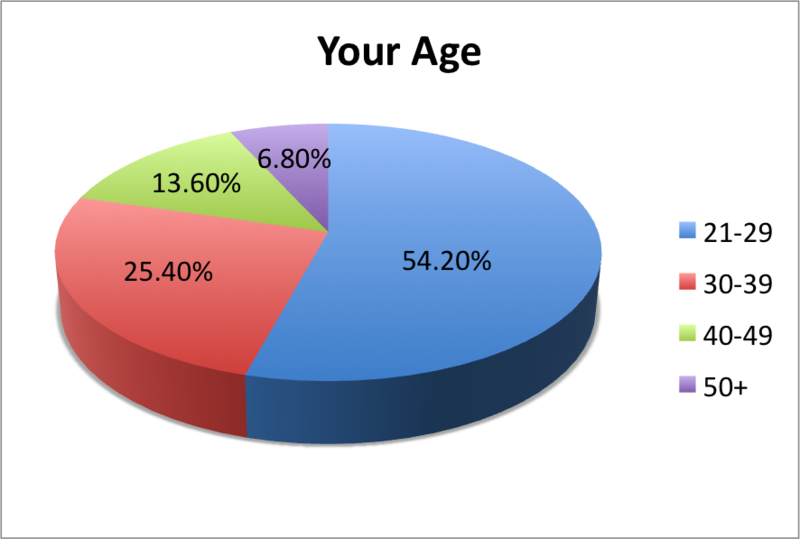 delivery.com empowers the neighborhood economy by enabling customers to order online from their favorite local restaurants, grocery stores, wine and spirits shops, and laundry and dry cleaning providers. Every day, delivery.com customers explore their communities and order from more than 10,000 local businesses while at home, at work, or on the go. With headquarters in New York and a growing presence throughout the U.S., delivery.com makes e-commerce an integral part of local daily life, helping customers shop, businesses grow, and neighborhoods thrive.